Jerome Donta Lee, a 38-year-old black male, died Friday, Dec. 7, after being shot in Mid-City, according to Los Angeles County Medical Examiner-Coroner's records. 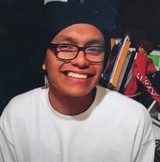 Steven Lopez, a 22-year-old Latino, was shot and killed Sunday, March 18, in the 4700 block of West 17th Street in Mid-City, according to Los Angeles County coroner’s records. At 10 p.m., officers from the Los Angeles Police Department responded to a call of shots fired in the area, Los Angeles Police Det. John Lamberti said. Officers found a family member cradling Lopez on the sidewalk when they arrived, Lamberti said. Lopez was pronounced dead at the scene at 10:14 p.m., according to coroner’s records. Police think a man walked up to Lopez, who was hanging out on a bike in front of a home, and opened fire. It’s unclear why Lopez was shot. Alexander Alvarado, a 37-year-old Latino, was shot and killed Saturday, May 6, in the 1700 block of Hauser Boulevard in Mid-City, according to Los Angeles County coroner’s records. About 6:50 a.m., police received a call of shots fired in the area and found Alvarado suffering from gunshot wounds, according to a news release from the LAPD. Alvarado was taken to a hospital, where he was pronounced dead at 7:24 a.m., according to coroner’s records. Police think that prior to the shooting, Alvarado and another person had stopped on a residential street in the area and were looking for car keys, Lt. John Radtke said. Radtke declined to provide additional information about the shooting. Anyone with information is asked to call LAPD’s West Bureau at (213) 382-9470. Those who wish to remain anonymous can call Crime Stoppers at (800) 222-8477. Jeremiah Shaw, a 21-year-old black man, was fatally shot Saturday, Aug. 13, near West Pico Boulevard and South Orange Drive in Mid-City, according to Los Angeles County coroner’s records. About 12:40 p.m., officers near West Pico Boulevard and South Orange Drive received a call of a shooting. Nearby residents heard about six shots. Police arrived and didn’t find anything, but they eventually discovered casings in the area. Officers from LAPD’s Southwest Division found Shaw in a silver Chrysler in the 2800 block of West 43rd Place in Leimert Park, said Lt. John Radtke with the LAPD’s West Bureau. Police believe that Shaw was shot in Mid-City, then taken down to Leimert Park and left in the vehicle. Shaw was taken to a hospital where he was pronounced dead at 2:22 p.m., according to coroner’s records.